In the latter part of 2012, Hurricane Sandy destroyed the Baldwin, N.Y., family home of Daria Rose. The Long Island teen, then a sophomore in high school, lost everything she had accumulated in her young life: her clothes, photos, furniture—all gone in an instant. "It was hard because it's really unpredictable when you don't have a stable place to live," she told ABC News. "[You] don't know if you're moving here next, or there … my mom and my dad and my family, they made me realize what was important. Stuff is just stuff. What is important is your health, education, your family." The family did recover and recently moved into a new home in Baldwin. Rose, now 18, recently applied to seven Ivy League colleges—and was accepted at all of them. "I've always known I wanted to go to Yale," she told ABC News. "But junior year I started looking at all my options, and I realized how many great schools there were out there." So she figured why not and began applying to the seven schools that appealed to her. "I went home and checked Harvard first and then Princeton and then Brown … and as they kept coming in, I was just astonished. I couldn't even breathe," Rose told the news station. "It was an amazing moment." Rose has two more college visits ahead of her and has until May 1 to make her decision. 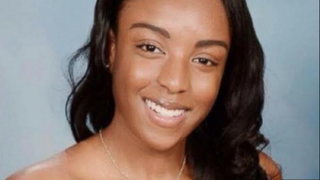 She told ABC News that while she has "always loved Yale's environment," she is intrigued by both Harvard and Princeton and added that no matter where she goes, she knows that she plans on studying Russian literature and political science. "They're all such great schools," she told the news station. "[I'll] try to see where I'll fit in the best."